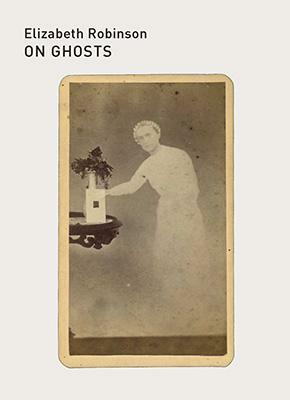 "Elizabeth Robinson's ON GHOSTS returns us to the haunted aura around words. Here, a crossing of genres poetry, prose meditation, personal testimony shows that language itself amounts to a gathering of ghosts. Robinson's oblique lyricism beckons us toward a twilight zone where we become 'witness to the unverifiable.' This is writing as the highest form of bewitching." Andrew Joron. Elizabeth Robinson's On Ghosts returns us to the haunted aura around words. Here, a crossing of genres—poetry, prose meditation, personal testimony—shows that language itself amounts to a gathering of ghosts. Robinson’s oblique lyricism beckons us toward a twilight zone where we become ‘witness to the unverifiable.’ This is writing as the highest form of bewitching.